Have you ever tried my Jalapeño-Avocado Deviled Egg recipe on this site? They are fantastic, and always a crowd pleaser at parties. The problem is that the addition of the avocado and other ingredients to the egg yolks results in far more filling than needed for the eggs. I’ve frozen this before and served it as a spread for crackers at a party – equally good! But this time I had some pesky eggs that didn’t peel well so I chopped up the broken cooked whites and mixed them with the leftover filling, and voila! 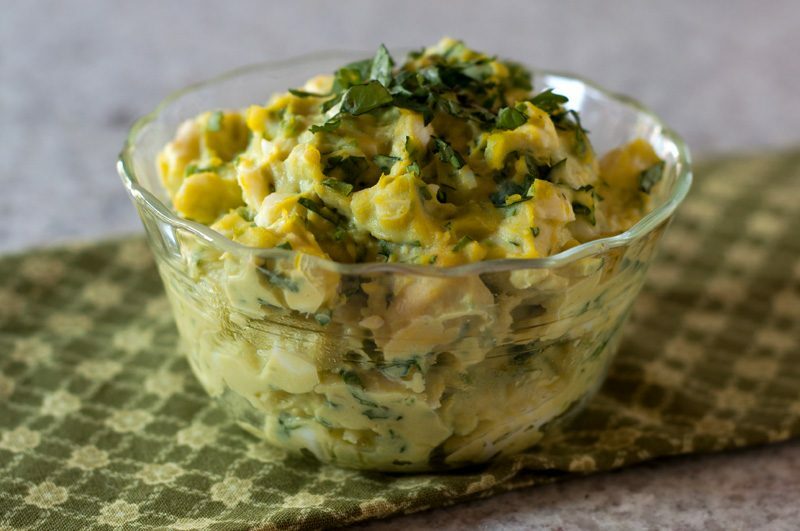 Perhaps the best egg salad you’ve ever had. 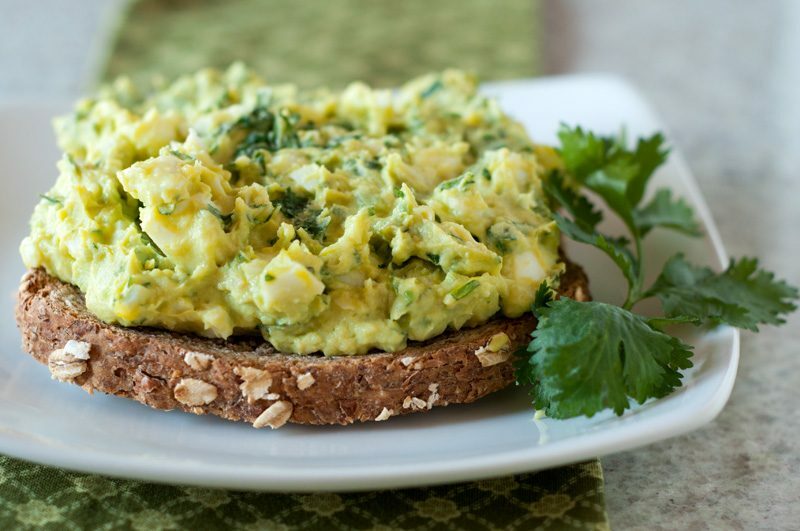 Eat it solo as a simple egg salad (or over some greens) or spread it on a piece of toast like I did and it’s like Avocado Toast married Egg Salad!